Vaults New York | AccuSafes' vault-rooms Long Island: Accu-Safes Inc. If you need someone to install your bank vault door or armory vault door, Accu-Safe is a premier provider of safe vault doors and rooms. We are certified installers and currently work with many of the major institutions in the metro area. In many instances vault applications may be custom in nature. Your safe room is only as good as your safe room door. 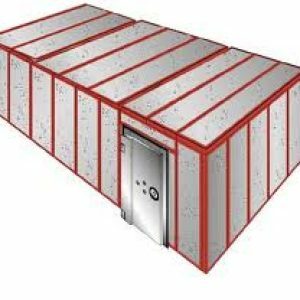 Whatever you stock in your safe room is up to you, but we have to stress that without a high security safe room door, all your other preparations will amount to nothing. A safe room or panic room is a fortified room which is installed in a private residence or business to provide a safe hiding place for the inhabitants in the event of a break-in, home invasion, or other threat. Safe rooms usually contain communications equipment, so that law enforcement authorities can be contacted. Call us now and take that first and most important step when building your safe room: door installation. 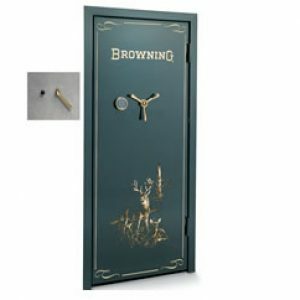 • The minimum rough door opening for the Vault Door is 83" x 36"
• Door frame “L-flange” will fit any wall with a minimum thickness of 5 1/2"
Dimensions - 83" x 38" x 23"
Browning/ProSteel’s Security Door has taken in-home security to a new level. With the appearance of a standard residential door, the Security Door is the perfect option for the customer who prefers to be more discreet about the presence and location of valuables. The Security Door includes a UL® Listed S & G® Type I Electronic Lock with a faceplate that can be mounted and concealed up to seven feet from the vault to further hide the true nature of the door. The Security Door features a six-panel door style to help blend in with other residential doors and can be painted to match. 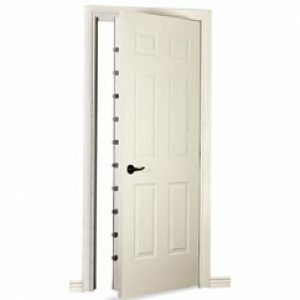 The minimum rough door opening for the Security Door is 83" x 36". AccuSafes can design and install your vault room.